With football constantly on at our house these days and the Superbowl approaching, we’ve been all about finger foods, appetizers, and game day favorites. 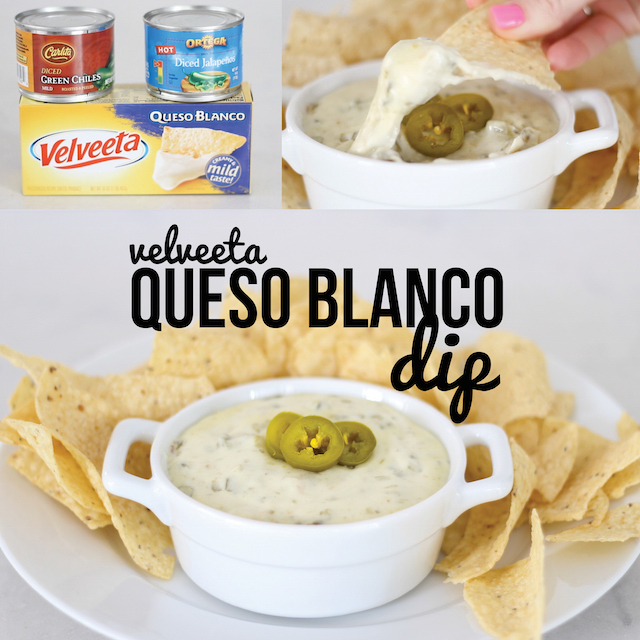 Today we are sharing our super simple recipe for Velveeta Queso Blanco Dip! It’s a little bit spicy, super creamy, and most importantly, easy to make. It’s a shame that it doesn’t last very long…. 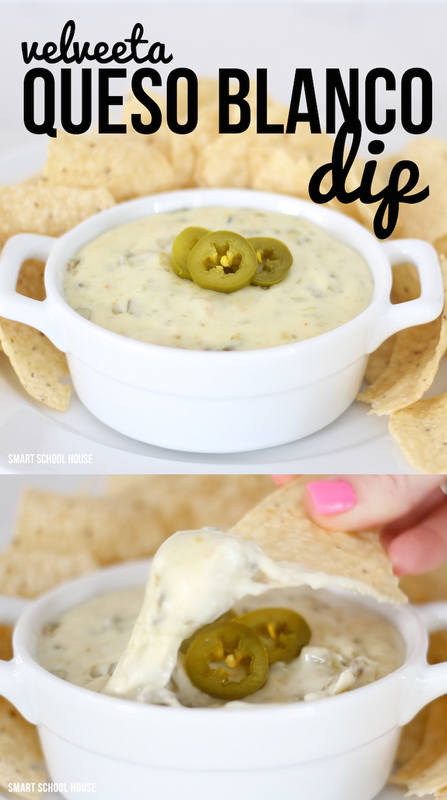 this dip is always devoured within minutes! This awesome crowd pleasing appetizer only requires 3 ingredients. The spice of the peppers is tamed by the cheese and the blanco queso (white cheese) is creamy and delicious! Just like the regular orange Velveeta, the queso blanco is addicting. Once you start eating, you can’t stop! And we don’t judge- eat up and have fun! Watch how we make it! So delicious! 3 Ingredient Velveeta Queso Blanco will soon become a staple at your house too.